Have you ever made your own tea at home? Using just your freshest herbs that you either picked up at the store or are growing in your garden. If you haven’t had the pleasure yet, you really need to realize all of the benefits of drinking tea this way. I first learned about this way of making tea when I had Greek Mountain Tea. It’s just leaves that you steep in hot water and then serve. I was surprised as tea that has ever been served to me has been in a tea bag, with a tag on it, a staple in that tag holding it tightly to the string that is also attached to that tea bag. When I break it down like that, doesn’t it sound odd? I think so, too. It really is a trip to take your favorite fresh herb and put it in hot water for 3 minutes and see a drinkable tea come out on the other side. It still boggles my mind. 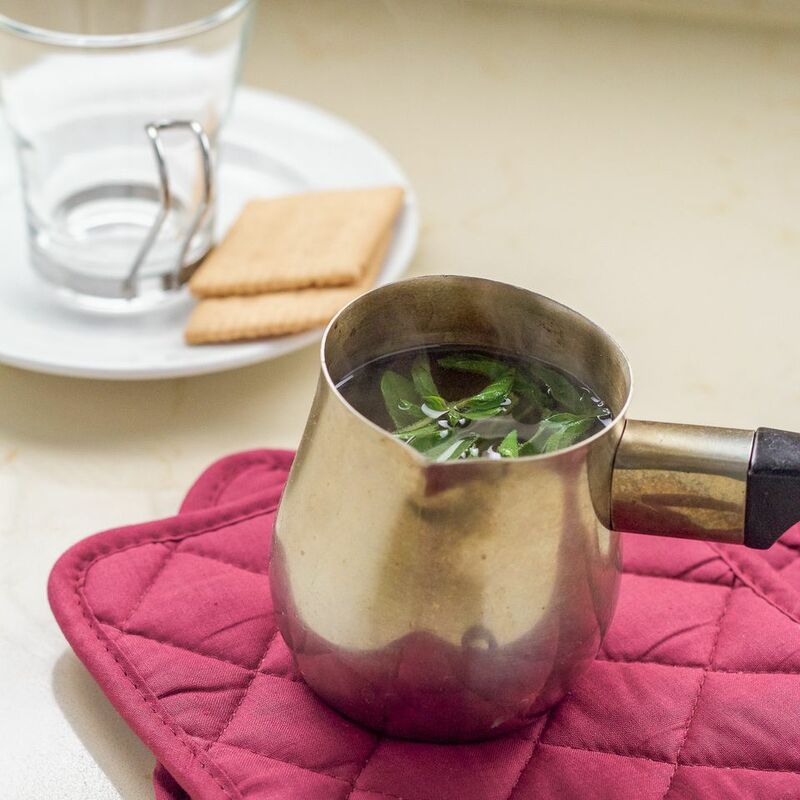 Recently I made oregano tea and the flavor really took me by surprise. I thought that the oregano would be very overpowering and maybe a little too strong for a nice tea. However, it was not at all! It had such a calming smell and a slightly sweet taste on its own. I don’t think you would even have to add sugar or honey to make this taste yummy, however, it is also nice with it included. As I placed the tea cup to my mouth, feeling the steam rise up and tickle my nose was just the first part of enjoying this unique tea. I could smell the aromatic scent as the liquid reached my lips. I took a bit sip and instantly felt warmed inside and I also felt very healthy. I know that may seem odd but because I know of all of the health benefits of oregano, I knew I was doing my body a favor. And I was right! Oregano is high in vitamin K, protecting your cardiovascular system, as well as manganese. It is also high in fiber and has properties that make it a great antioxidant for the body. The fiber part really stood out to me because having a healthy gut is so important to your overall health. I want to make sure that I am doing everything I can to keep myself in tip top shape. Give this tea a try and tell me how you feel after drinking it. Enjoy! Place oregano in boiling water and let steep for 3 minutes. Pour contents in glass and add honey. Serve with or without leaves depending on desired method.